Listen up folks, April 24 is Noise Awareness Day. 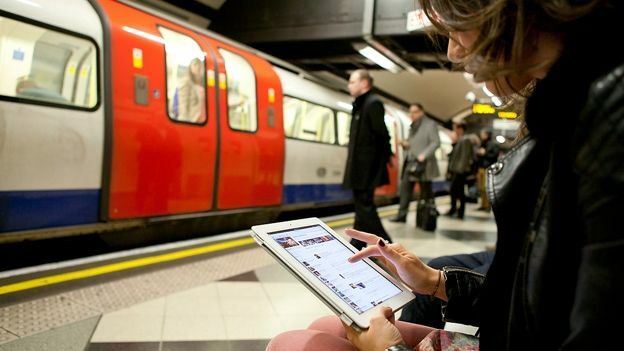 In honour of this oft-overlooked audiological date, new research has been published that suggests it could be bad for your hearing to listen to MP3s on the London Underground. The research was carried out by Echo Barrier (a London-based company that makes sound padding products) and found that in order to enjoy the latest Justin Timberlake or Taylor Swift number over the background noise, commuters were pushing the volume up to 100dB. In contrast, your average run-of-the-mill construction drill will fire out 120dB of sound but operators have the benefit of ear protection. “Those who set the volume too high on their iPods really need to take note. Millions of Londoners take the Tube to and from work, sometimes journeys up to an hour each way, and during that time they are blasting 100dB into their ears which is extremely unhealthy,” Peter Wilson, technical director at Echo Barrier told the London Evening Standard. The research went on to document the noisiest jobs in the UK. Airport ground staff and F1 drivers came out on top. According to figures from the European Agency for Safety and Health at Work, around a million people in the UK are regularly exposed to noise levels above 85dB (where it becomes a health risk) while at work. “Workers can lessen the risk by protecting ears with earplugs or other hearing protection devices at all times but employers need to be aware of how damaging noise pollution can be – and not just for their employees," Mr Wilson said. So, come April 24, don't be afraid to tell your co-workers to shut up for a change.